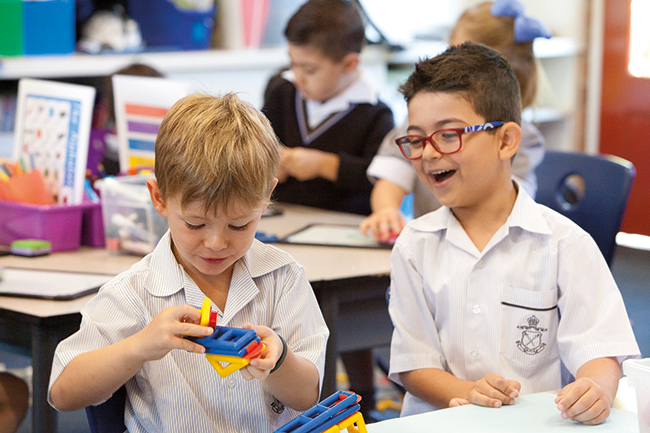 Ivanhoe Grammar School offers an innovative Early Years and Primary Program at two beautiful campuses. At both our Ivanhoe and Plenty campuses, we offer Foundation to Year 6, and at our Ivanhoe Campus we offer an Early Learning Program for three- and four-year-olds. Throughout the primary years, our focus is on inquiry-based learning which encourages curiosity and a love of school. Alongside core literacy and numeracy programs, we also offer a number of specialist subjects such as science, language, physical education, art and music. We tailor our programs to individual students to help those who need additional support as well as those who need to be challenged. At Ivanhoe, we believe it is never too early to learn about the importance of being ethical and responsible global citizens and we incorporate these values into the curriculum. Students are given a strong foundation in core subjects using sustainability, ethics, fairness and humanity as examples and learning tools. Importantly, students are involved in service and leadership activities, giving them the opportunity to give back to their community. All students are encouraged to explore their interests and strengths so that they can be the best version of themselves. We teach and lead by example and we live by our maxim to be courageous and kind in all we set out to do.